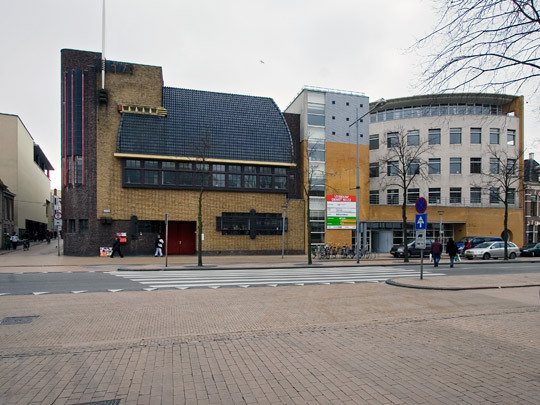 The former Public Works office building is one of the finest examples of Groningen's variation on Amsterdam School architecture, with as its most striking feature the sculpturally treated corner linking the vertically accentuated office facade on Ubbo Emmiusstraat with the horizontal facade along the Gedempte Zuiderdiep. The curved line of the front facade of the extension is a reference to the existing building. The elongated infill in the existing block comprises two diverging office strips, reached from a central passage which broadens at the front into a void.